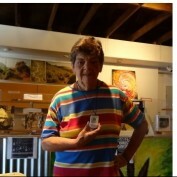 I am a diabetic cancer patient who is using medical cannabis - ONLY - to cure her breast cancer. No surgery, no chemo, no radiation. I will not sacrifice healthy tissue to the medical industry. Am I willing to bet my life on it?